This causes loss of natural products of the region and internal migration. America and the fall of the Taliban after the attack on Hamid Karzai to power promising a new era in relations between Iran and Afghanistan in Helmand was blue. President eighth trip to Afghanistan in August 2002, did not have good results in use of Helmand. In September 2004, officials from Iran and Afghanistan met in Tehran to discuss the 1973 Treaty debate. Deputy Department of Energy of Iran, Reza Ardakanian IRNA said the two sides agreed to facilitate the implementation of the provisions of the Treaty of 1973 and under normal circumstances, an annual contribution of 820 million cubic meters of water Helmand. However, in early 2005, no signs of conflict over water between Iran and Afghanistan Helmand is over, could not be seen. The tension continues. In recent years both the Dam and Hydroelectric Power Plant on Harirud in Afghanistan has raised the possibility of increasing tensions. 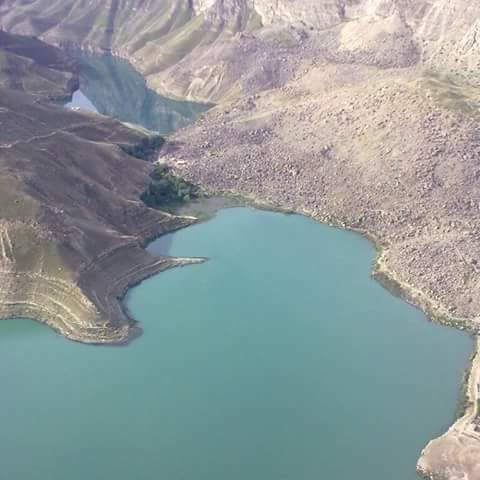 It is said that the construction of the dam on Harirud by Afghanistan, could lead to the development of agriculture and industry in the country. However, thus reducing water flow to Iran, could lead to worsening relations with Tehran. While it is expected that the dam close to 42 megawatts and with the boom Afghanistan's dependence on electricity from neighboring countries decrease, but at the same time reducing water flow to Iran and severe water shortages, residents of Mashhad and agricultural pest this area is associated. The only way that the needs of industry and development of Afghanistan and Iran Shrqnshynhay need to guarantee water, dialogue. Studies of "East-West" in 2010 with the publication of a report on water resources in Afghanistan, stressed that "cooperation with neighbours on water resources, and choosing an option, but the only way available.